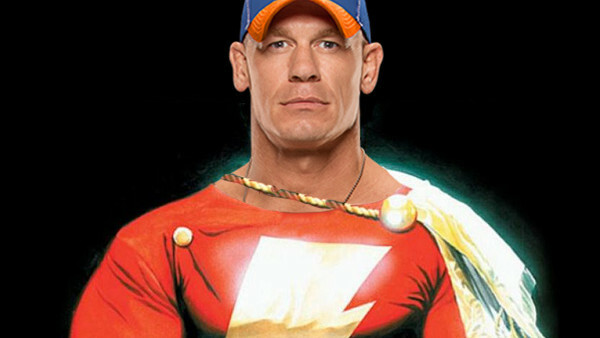 Unfortunately, no matter how perfect it would be to see WWE legend John Cena make his debut in the DCEU playing Shazam! opposite The Rock's Black Adam, it doesn't look nearly as likely as it did not so long ago. Initial rumours suggested that Cena was top of the short-list of actors being considered for the starring role, which would have been absolutely ideal casting, but now he's drifting out of the picture, according to one source. That's a major shame - not least because of the possibility of seeing him and Dwayne Johnson trade charisma and punches on a comic book movie. And there's something very appealing in Cena's muscular boy scout image that just really works for a character like Shazam (particularly if there's some humour in there, as he's proved himself great with such material already). Quite who will take over him as the front-runner remains to be seen - and hopefully Gonzalez isn't saying he's out of the picture entirely - but it certainly sounds like there's someone specific in mind. Would they be better than Cena? Jury's out.